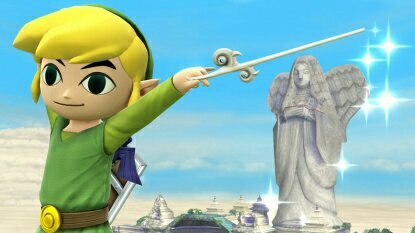 Following the digital release of Legend of Zelda: The Wind Waker HD, Toon Link has been announced as the sixteenth character to join the brawl. His design looks really good, as the HD complements his unique art style. So far it is unknown if he will still be a clone character, or if he will receive his own moveset to differentiate him from Link, but the screenshots released along with his annoucncement do show some similar moves. This entry was posted in 3DS, News, Nintendo, Wii U and tagged 3ds, announcement, bros, hd, legend of zelda, link, moveset, sails, smash, super smash bros, toon link, waker, wii u, wind, wind waker, zelda. Bookmark the permalink.